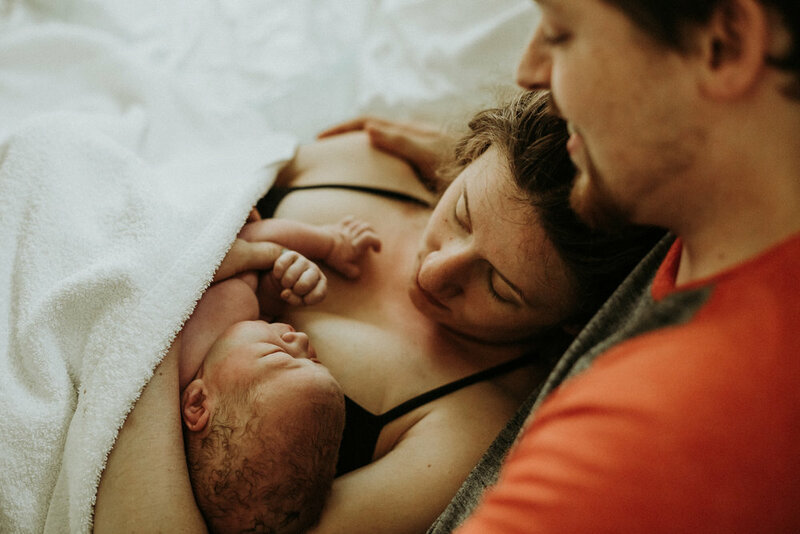 This birth was so beautiful. Jessica was AMAZING. She was strong, calm, and worked so hard during her labor. Baby Charles is her rainbow baby, and it was just so gratifying to see her hold that sweet baby in her arms. While walking outside to help progress labor, there was an amazing rainbow sun-flare. It was such a beautiful reminder of the journey these two have been on. I hope if you are reading this, and you've experienced a loss, that you have found a way to acknowledge and remember that baby you've lost. There shouldn't be a stigma, shame, guilt, or any other feelings that I know can come along with this. I will just say, I have so many feelings about grief. I am open ears if you ever need to talk about it! I am incredibly honored to have witness the birth of Charles. Truly, it makes me teary thinking about this experience. Blogging this right now is bringing back all the emotions! Jessica has blessed me in so many ways with her friendship. I cannot wait to watch Charles grow up, and get to snuggle him and help document all his milestones!